April 5, 2019 - Film director Eddie Mensore is proud to be from West Virginia, but he doesn’t claim to actually be from coal country. 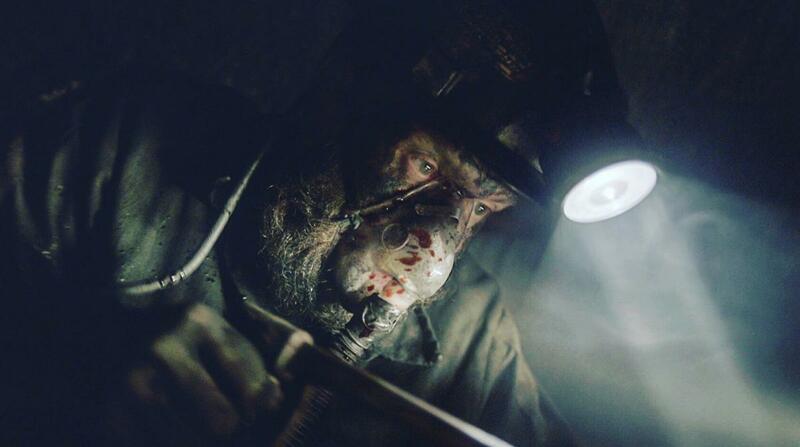 Film director Eddie Mensore said his latest, "Mine 9," is a thriller set in a coal mine. He was looking for procedural accuracy, but tried to avoid politics. The state’s best-known industry would be hard to ignore. It’s part of the consciousness of West Virginians, which is partly why Mensore’s second feature, “Mine 9,” is about coal mining. The film arrives in theaters in Appalachia on April 12, including Park Place Stadium Cinemas in Charleston. It’s also being shown at theaters in Huntington, Logan, Summersville, Lewisburg, Beckley and Princeton, a week before it’s distributed nationally. Mensore called the film a “claustrophobic thriller” that’s more procedural than political. The story is familiar: a group of typical coal miners go to work in a mine they know isn’t safe, but fear what happens if it’s closed down. In the course of a shift, the worst happens: the ceiling collapses and the miners struggle to stay alive and find their way out. Mensore said he had the idea for “Mine 9” years ago, but that it wasn’t based on any particular mine disaster. What he didn’t want was for coal miners to sit in the audience watching his movie and laughing about it. Mensore wanted to know what miners would do if they were trapped underground, how they would react if they were running out of air, but the first draft didn’t make the cut. Mensore said learning about coal mining and coal miners was as difficult as learning a new language, but not as difficult as getting the film made. Even during the best of times, coal operators tend to be cautious about allowing camera crews into mines. Mensore said it took him years to find one mine in Virginia where he could bring a camera crew, and they only went in for about a day. They filmed some footage of actual miners working and blended the footage with the film’s actors. They also took notes and re-created the mine on a soundstage in Atlanta. Also, a real mine is no place for a motion picture film crew. “My producer Autumn Bailey worked with Kevin on another project. She got me to send Kevin a script and he was great,” Mensore said. “Mine 9” will be out this week in several area movie theaters and will be shown next month at the Alban Arts Center. While getting “Mine 9” to audiences is just beginning for Mensore, the director said he had other projects he was looking into, including a story about the battle of Blair Mountain. “It’s a huge story,” he said.